Somebody once suggested that statistics are the final refuge of the man who has nothing to say. Today's French papers are full of them . . . statistics and men who have nothing to say. Statistics can be surprising. 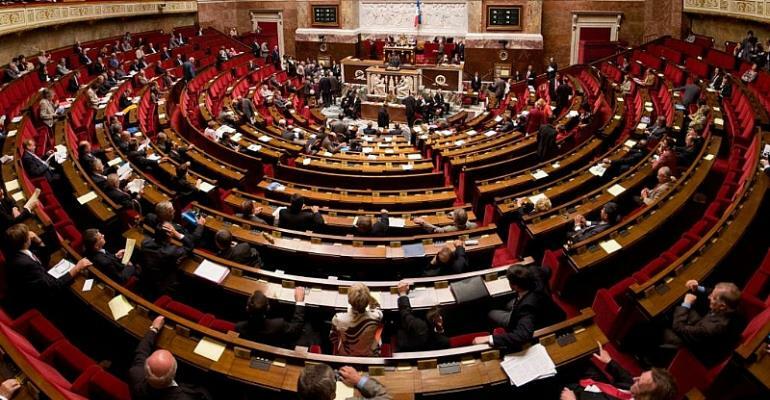 For example, how hard-working are the deputies which French voters elect to represent them in the National Assembly? Right-wing Le Figaro says they put in an average of between 50 and 100 hours per week, far from the image of the lazy parliamentarian promoted by some gilets jaunes protestors. How worried should we be about nuclear waste? Very, if the statistics in left-leaning newspaper Libération are to be believed. At the end of last year, France had 1,620,000 cubic metres of radioactive leftovers. In the sort of simplistic comparison much loved by journalists who adore turning numbers into images, that's the equivalent, says Libé, of 648 Olympic swimming pools. If you find that easier to grasp than 1,620,000 cubic metres, good luck to you. Most of the glowing garbage comes from 60 years of electricity generation, about a quarter from scientific research, with the rest due to defence, industry and medical uses. You'd be lucky to drown in one of the aforementioned swimming pools. The least dangerous nuclear waste will pose a threat to human beings for three centuries; the most highly radioactive will still be life threatening in several hundred thousand years. Needless to remark, what's bad for humans ain't great for the rest of the planet's living organisms. And that, I can assure you on the basis of another statistical study, includes cockroaches. Exposed to very high levels of radiation, the insects with a reputation worthy of Arnold “Terminator” Schwarzenegger survive longer than we would, between 6 and 15 times longer, but they die nonetheless. The only good news is that the really bad stuff represents just 17 percent of the total amount of French nuclear waste, that's 111 Olympic swimming pools. Or 322,000 cubic metres, if you insist. The statistics in right-wing Le Figaro are even more alarming, and not just for cockroaches. According to a study carried out by the environmental action group Greenpeace, the air the kids breathe in one quarter of the schools in Paris and Marseille contains more than the legal limit of nitrogen dioxide, most of that coming from diesel engined cars. That means the children in 682 Paris schools and colleges, enough to fill 27 Olympic swimming pools, are exposed to an illegal level of air pollution, with the attendant risks of asthma, chest and respiratory infections, even certain cancers. Since we are now fully into our statistical stride, I can confirm that the air being breathed at every single school in Paris fails to meet the crtiteria established by the World Health Organisation for micro-particle pollution. Ninety-seven percent of Paris schools fall short of the WHO's recommendations for medium-sized particles as well. If your child refuses to go to school, you should congratulate him or her for showing good sense, not whinge about wasted opportunities. On the basis of these alarming figures, the organisation Respire (that's “breathe” in French) has called for the establishment of a special zone inside the Paris exterior ring-road. The idea would be to allow only electric cars and public transport into the capital, with private vehicles admitted provided they are full of car-sharers. And I'll conclude with a statistic to make eyes water. This comes from the business paper Les Echos. There it is reported that one François-Henri Pinault, the boss of the luxury goods company Kering, will this year earn 22 million euros. That's substantially, even statistically, up from his take-home pay of just 2.7 million in 2017. The explanation is simple. François-Henri is on a fixed salary of 1.2 million euros. Then he has an annual variable bonus, which brings in nearly two million extra euros in an average year. So far so good. This is barely addition, hardly statistics at all. But then we get creative. Enter something called the multi-year variable bonus. Bingo! If François-Henri manages to boost the Kering group's share price by just 2.5 percent per year for three consecutive years, he hits the jackpot! 2014 was a bad year, the share price and François-Henri were in the doghouse, struggling to get by on that 1.2 million euro basic. François-Henri vowed that he would never suffer like that again. The rest you can probably guess. The man got his nose to the gilded grindstone and kept it there. The share price went through the roof and recently shot past the International Space Station. François-Henri will collect a bonus of 18.6 million euros for his efforts. Changed into one centime coins, that would fill seven Olympic swimming pools . . . OK, I'm making that up. I'll stop.